Chiltern Adventure was published by Blackie in 1950, and later republished by Fidra Books in paperback in 2006. In More About Being an Author, MEA says, “My First Blackie Book, Chiltern Adventure, was quite a handsome affair, with a lovely jacket by Terrence Freeman, though the inside illustrations were undistinguished.” Later she says that the copyright was sold outright for a hundred pounds, although later Blackie books were on a royalty at a low price (she doubts they made a hundred pounds each). The four England children, Deborah, Petronalla (Peta), Everard and Francesca (also known as Pav, short for Pavlova, as she is training to be a ballet dancer), live in London with their parents, but they have all been ill with measles, and at the end of their summer term, their mother tells them that they instead of their usual fortnight at a smart hotel at the seaside, this year they are to have six weeks in a cottage in the Chilterns. It is planned that an old family friend will go to look after them, with their parents visiting at weekends, but a convenient chapter of accidents results in them going alone, in charge of 16 year old Deb. Their journey is full of trials, not the least of which is Francesca’s sudden attempt to return to town. All the children are apprehensive about life in the country, being out and out town children, but she is particularly affected, being used to a life at ballet school and loving the theatre. They manage to retrieve her, and finally arrive at the cottage late at night. The owners of the cottage, Mr and Mrs Kingshill, live at the neighbouring farm with their son, Johnathan, and meet them and show them round. Just as they are arriving, they catch a glimpse of a girl in the woods, and that night a note is pinned to the door, saying ‘Rowena bids you welcome’. The next afternoon the three girls go for a walk, but Francesca gets ahead of the others, and is penned in by a herd of cows, much to her terror, but a strange girl comes to the rescue. She rushes off, but they just have chance to find out that she is the Rowena of the note, and she tells them that she lives with the bodgers in the woods. They find out that bodgers are chair makers, who ply an ancient craft, but that their way of life is threatened by factories. Jonathan takes them for a walk to see the countryside round about, but Francesca gets a blister on her heel. Thankfully a car comes to the rescue, driven by Miss Brentham, headmistress of the nearby Sherlenden House boarding school for girls. That night Peta slips away into Sherlendenleaf wood, and finds the bodgers’ camp, but it is deserted. On her way back, she spots Rowena, who stops to talk but once again rushes away. On telling the others, Francesca becomes upset, as she wanted to go to find Rowena. They are confused by her, one minute she seems like a spoilt child, and at other times she is prematurely grown up. 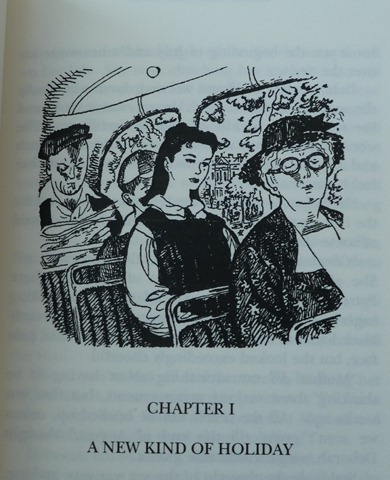 The days pass, and the children explore the countryside on their bicycles, and help on the farm, but there is no sign of the mysterious Rowena until one day Francesca, who has stayed behind to practise whilst the others went out, comes in late and reports her meeting with Rowena in the woods, where she has a campfire and a tent. She has told the younger girl stories, and explained that she is the seventh child of a seventh child, with an Irish grandmother. 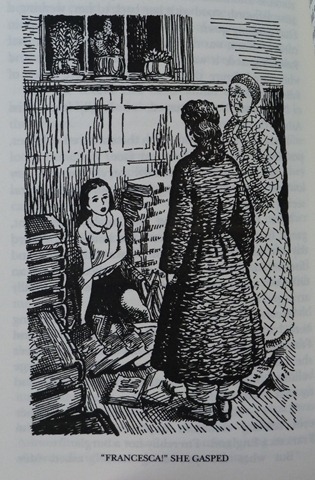 The next day they go off on their bikes, and are having tea in a café in West Wycombe when they are amazed to see Miss Brentham enter with Rowena, who is smart in school uniform instead of the ragged clothes she adopts in the woods. On seeing them, Miss Brentham says that she was planning to visit them that evening, to ask them to be company for Rowena, who has been left at school for the holidays as her parents are abroad, and she has to go away the next day. Rowena duly apologises for misleading them about living with the bodgers, but says that she really is a seventh child. Her family are scattered around the world, and she is the only one in England. They all make friends, Peta is particularly drawn to Rowena, who is the same age as her, but Francesca is also desperate to be friends with her, to the extent that she would rather go shopping with them than practise. On the way Francesca falls off her bike, but instead of making a fuss she behaves sportingly to try and impress Rowena. But she is jealous of the friendship that is springing up between the two older girls, and this causes trouble when she butts in on a plan they have made for Peta to spend a night at the school with Rowena. She follows Peta, who has got into the school undetected, but falls and wakes the Matron in charge, and she and Peta go back to the cottage. Peta is cross and tells Francesca that Rowena is cross with her. Next morning Francesca is missing, and eventually they realise that she has run away. Peta and Rowena manage to find her in Aylesbury, where a ballet film is showing at the cinema, and persuade her to return with them. On the way back they are caught in a thunderstorm, and, sharing two bicycles between three of them, manage to collide, leaving Rowena with a twisted ankle and Peta unconscious. Francesca goes for help, and they are rescued and taken back to the cottage, the three younger girls make friends, and the troubles are all resolved. Mr and Mrs England join the children for the last two weeks of their holiday, and Rowena comes to stay too. The book ends with them all going to London to see a ballet, and with the news that they are to keep the cottage for holidays in the future. The book opens in London, where the Englands live in Gloucester Place, but the story soon moves to the Chilterns. The exact location of the cottage isn’t specified, but it must be fairly near to Hampden House, as that is one of their first ports of call on the walk Jon takes them on on their first afternoon. This is Elsie Oxenham country, where MEA spent a lot of time, starting with her term as a housemistress at the school at Hampden House. 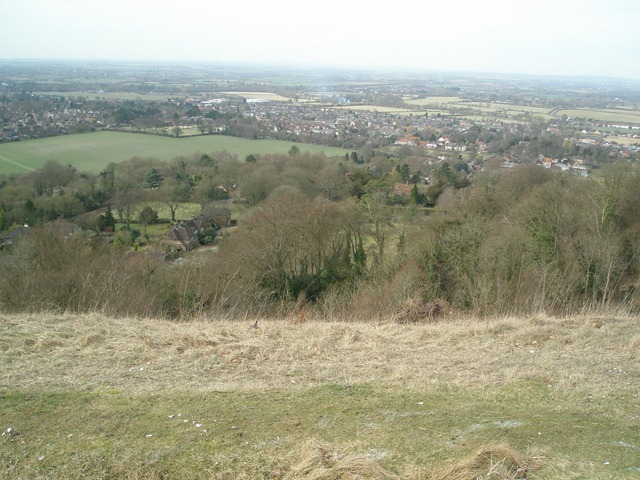 She knew every path for miles, and it shows in her writing – the reactions of the older children to the beech woods and the view over the Vale of Aylesbury are clearly written from the heart. There are several references to Hampden House, and Whiteleaf Cross and Green Hailey are also mentioned more than once, as well as most of the towns round about. Francesca is the first of MEA’s ballet heroines, but although she is at first portrayed as obsessed with ballet, as the book progresses she becomes more interested in making friends with Rowena, and even though she has been given a space to practise in, she feels that, “for the first time…dancing had lost some of its savour. It seemed a lonely and rather depressing business practising in the attic at Beech End Farm”. She is an interesting character though, a curious mixture of sophistication and naivety, perfectly happy and confident walking the London streets, but terrified (at first) of the country. It seems a little unlikely that 16 year old Deborah would be able to run a cottage with no electric or running water for all four of them, not to mention shopping for and cooking three square meals a day, with no training, but she manages without any major mishaps. There are several mentions of the bodgers, or chair-leg makers, in the woods, although we only see their empty camp and not them at work. 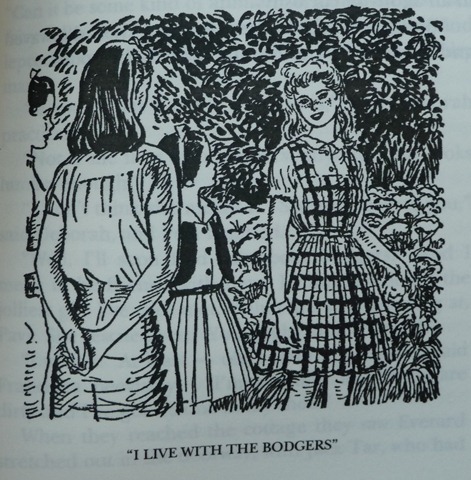 In EJO’s Girls of the Hamlet Club, Margia takes Cicely to see the chair-leg makers in the same woods, although she doesn’t refer to them as bodgers. There is no folk dancing in this book, but Rowena has a large store of folk songs which she sings whilst helping with the housework at the cottage, including The Lark in the Morn, which was a favourite of MEAs. Chiltern Adventure is closely linked by Rowena to Chiltern School, but appears to exist in a parallel universe – it clearly takes place during the summer holidays between the two terms in Chiltern School (In Chiltern Adventure Rowena says that she has been at school for ‘a term and a bit’, and at the beginning of the summer term in Chiltern School she tells Rose that she arrived at the school during the previous term), but in Chiltern School we are told that Rowena spent her summer holidays with her brother and his family in London, then with her great-aunt; not stuck at school, roaming through the woods. 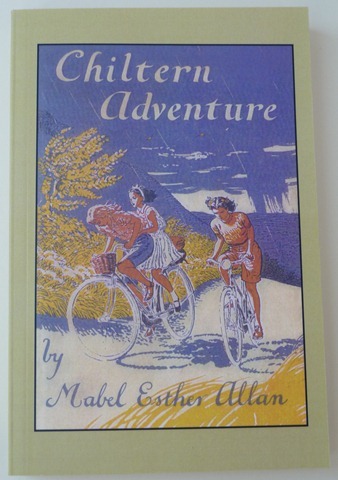 In To Be An Author, MEA says that Chiltern Adventure was written during the winter of 1948/49, and in More About Being an Author she says that Chiltern School was started in January 1950 – I’m surprised that she managed to contradict herself within such a short space of time, and even more surprised that she didn’t mention this in any of her self-published writings, she didn’t usually mind saying when she’d been mistaken. The Kingshills at the farm appear briefly in the short story The School that Wasn’t Welsh, which is set at Sherlenden School. Rowena and Peta reappear as pupils in The School on Cloud Ridge.